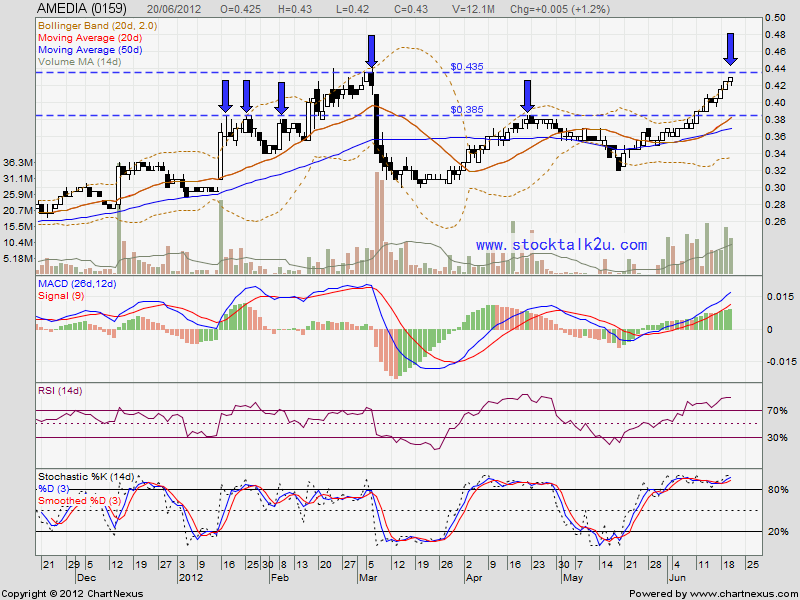 AMEDIA retest RM0.435 resistance level. Will it break through? Or retrace down? Stochastic %K already reach overbought stage. High posibility will consolidate side way or retrace down for correction. 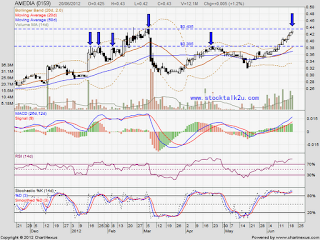 If retrace down, MA20 / RM0.385 would be immediate support level.